Renee Wright’s affinity for tattoos and muscles goes back as far as her primary school days. Raised in Providenciales, Wright’s childhood pension for large stick-on tattoos was just the precursor to her high school experimentation with permanent ink as a student at the British West Indies Collegiate. 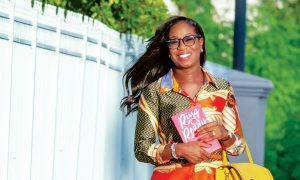 Upon graduating from high school, Wright’s teenage trajectory led to a managerial position at a local gym in the months prior to her heading to Canada for college. It was during those college years studying accounting and working at a Toronto gym that Wright first met a co-worker who threw weights around in such a way that she immediately wanted to do the same, much to the consternation of their bosses. 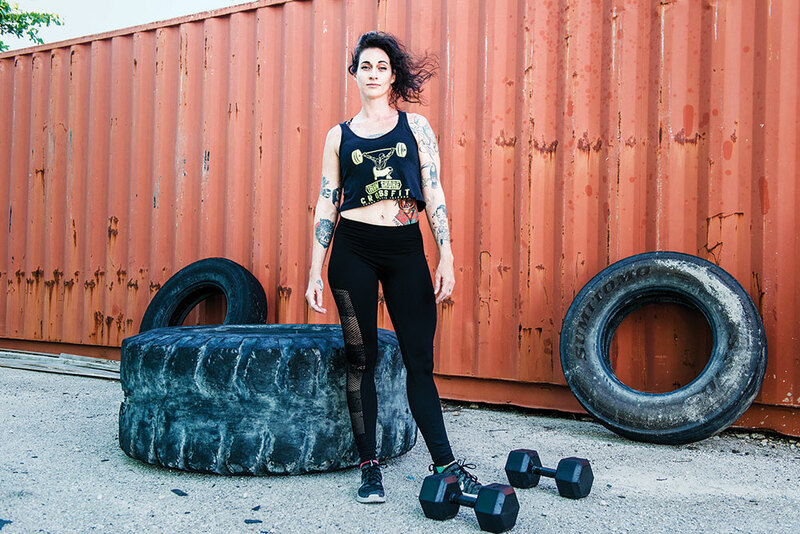 After graduating with her degree in accounting, Wright decided to bring CrossFit to Provo alongside the former co-worker who first introduced her to the sport. Starting in parking lots, beaches, and eventually its own spot in Grace Bay that first opened its doors in 2016, Iron Shore CrossFit has provided Wright the entrepreneurial avenue to pursue her passion for the sport whilst building a genuine community of clientele who practice together with her and her team. Boasting a mantra of ‘no mirrors, no machines, no scales’, Iron Shore CrossFit offers newbies access to a community committed to working hard, living healthily, and building genuine relationships that extend outside the intensively competitive and emotionally supportive box. Renee Wright’s latest entrepreneurial endeavor Tats ‘n’ Tings opened this winter at the Saltmills Plaza in Grace Bay. Such strong personal relationships aren’t just the key to Wright’s first business, but her second entrepreneurial venture as well, the newly opened tattoo shop Tats ‘n’ Tings in the Saltmills Plaza in Grace Bay. Five years ago, tattoo enthusiast Wright sought out talented artist Sinead Stewart for some new ink. 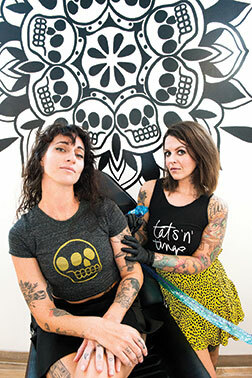 The duo connected and became best friends and eventual business partners in an enterprise that celebrates the deeply personal art form at the islands’ only established tattoo shop. Pairing Stewart’s serious experience as a Toronto tattoo artist with Wright’s creativity and business background, Tats ‘n’ Tings offers tattoo lovers a comfortable (and cool) location to have creative designs big or small permanently inked onto the canvas of their body. Combining years of experience, passion and talent, Tats ‘n’ Tings is just the latest manifestation of a childhood dream for the little girl from Provo who always loved tattoos and muscles.